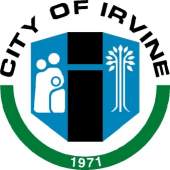 The City of Irvine, California is an affluent “planned community” in Orange County, California. It has mainly been developed by the Irvine Company since the 1960s. Incorporated on December 28, 1971, the city has a population of 212,375 as of the 2010 census. California Department of Finance esti­mates its 2013 population to be 223,729. It has annexed an undeveloped area to the north, and also annexed the former El Toro Marine Corps Air Station. The city’s mission statement is “to create and maintain a community where people can live, work, and play in an environment that is safe, vibrant, and aesthetically pleasing.” Because Irvine is home to very good public schools, a large number of jobs requiring a skilled work­force, and residential housing, Irvine was chosen in 2008 by CNNMoney.com as the fourth best place to live in the United States. In 2012, it was ranked in sixth place. In September 2011, Businessweek listed Irvine as the 5th best city in the US. Irvine has the seventh highest median income among cities in the US with populations of more than 65,000. In 2014, Irvine was named the best-run city in the US by 24/7 Wall Street. Irvine is home to the University of California, Irvine (UCI), Concordia University, Irvine Valley College, the Orange County Center of the University of Southern California (USC), Brand­man University, and campuses of California State University Fullerton (CSUF), University of La Verne, Pepperdine University, Alliant International University and Webster Univer­sity. Irvine is also home to a number of corporations, particularly in the technology and semiconductor sectors. The city has been starndardized to Microsoft technology, including Windows,® SQL Server and Office. PSI software incorporates Micro­soft® standards to ensure reliable, robust and pro­gressively improving software. Staff can now easily identify outstanding accounts, missing tax periods, and follow up with automated form letters. Penalties calcu­lations, interest, and administrative fees are now performed automatically upon the click of a button. Irvine was the first client to request Online License Printing. They currently enjoy lighter printing loads in their offices as clients may print business licenses themselves. LicenseTrack,™ the business licensing system from Progressive Solutions® has enabled the city to obtain answers and make operating changes without programming or additional cost. Most upgrades and minimal report customizations are included in the annual support fee so that ad hoc requirements do not require additional midyear budgeting.